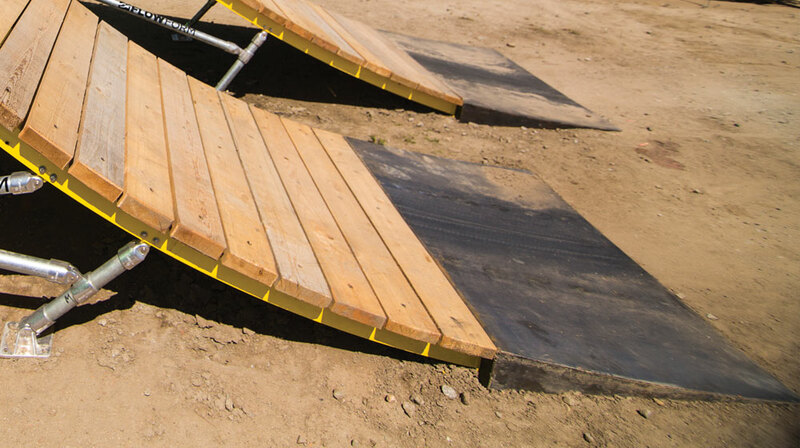 The Transition Plate integrates with every FlowForm Feature allowing all FlowForm Ramps to be installed on paved or pre-graded surfaces. The Transition Plate includes a radius that connects seamlessly to all riding surfaces ensuring a smooth ride. Constructed of 7-gauge steel Transition Plates are built to last. 52" - Height: 5.25" / Length: 2' 6.5" / Width: 4' 4"